Browse: Home /	Community Building, Events / Environmental film/discussion series! Future Visions film discussion series comes to Brooklyn! 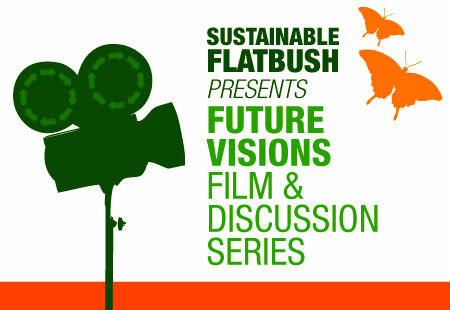 The Future Visions Film/Discussion Series was created by Sierra Club NYC Group, Neighborhood Energy Network, Beyond Oil NYC, and Tri-State Food Not Lawns as a vehicle to educate and then engage people in discussion about environmental issues. In partnership with local groups, the Future Visions series is being presented in locations throughout New York City. Doors open at 7pm, and the film presentation will begin at 7:30 promptly. Discussion will begin immediately after the film. This film will turn every idea you ever had about what it means to be an American farmer, or an American dreamer, on its head. Meet Farmer John, the incredible human being whose inspirational story of revolutionizing his family farm and redeeming his own life has won accolades and awards at film festivals around the world. Curitiba mayors Jaime Lerner and Cassio Tanigushi and other engineers of these sensible policies, the film shows life-enhancing and cost-effective innovations in transportation, recycling, and affordable housing. Free popcorn provided by Flatbush Food Coop. Kosher snacks will also be available for purchase.